I’m officially a Charleston girl again! It’s still hard to get used to saying that I live here, actually. Columbia treated us well for the past 5 years, but it’s great to be back in the Holy City. Being born and raised in Charleston, I’ve eating my fair share of biscuits and grits. If you’ve never had the tradition Southern breakfast with cheese grits, scrambled eggs, bacon and biscuits, you need to come see me. I’ll make you ‘the spread’. As a Charleston girl, I have the pleasure of living in the same city as Carrie Morey, the owner of Callie’s Charleston Biscuits. Callie, Carrie’s mom, is the caterer extraordinaire and inspiration behind Callie’s Charleston Biscuits. 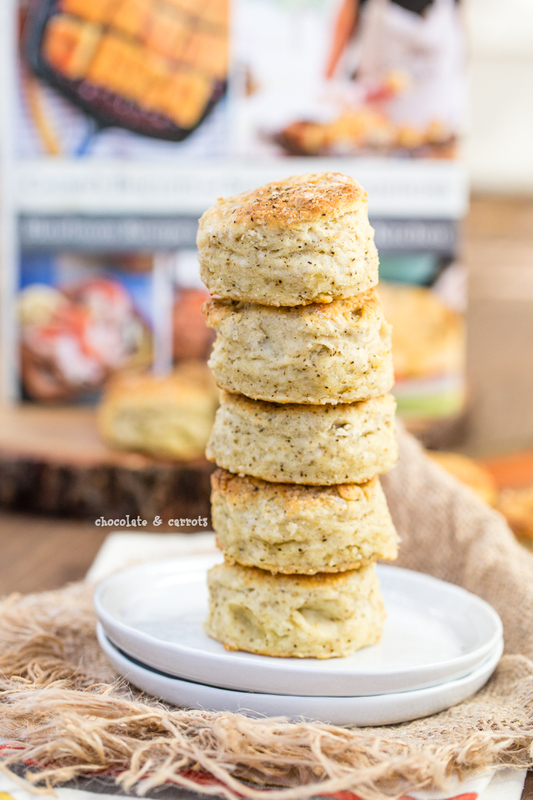 Carrie just came out with her cookbook, Callie’s Biscuits and Southern Traditions: Heirloom Recipes from Our Family Kitchen, where this black pepper biscuit recipe came from! As soon as I got the cookbook in the mail, I dove right in. A lot of the recipes were similar to ones that I grew up eating. I’m especially fond of pimento cheese and cobbler. Southern women know how to cook. 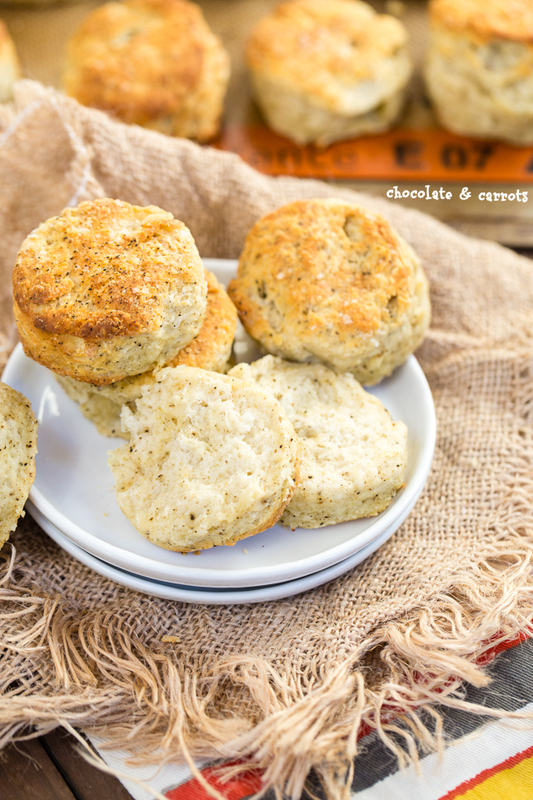 I had never tried Callie’s Biscuits so when I spotted her Black Pepper Biscuits in the cookbook, my interest was instantly sparked and I knew my Southern boys would love them! I couldn’t believe how easy they were to make, too! Within 30 minutes the raw ingredients came to life and made the house smell spectacular. The spicy and salty touches of the fluffy biscuits are out of this world. Plus, the buttered tops are simply amazing. You’ve got to get on this biscuit train! 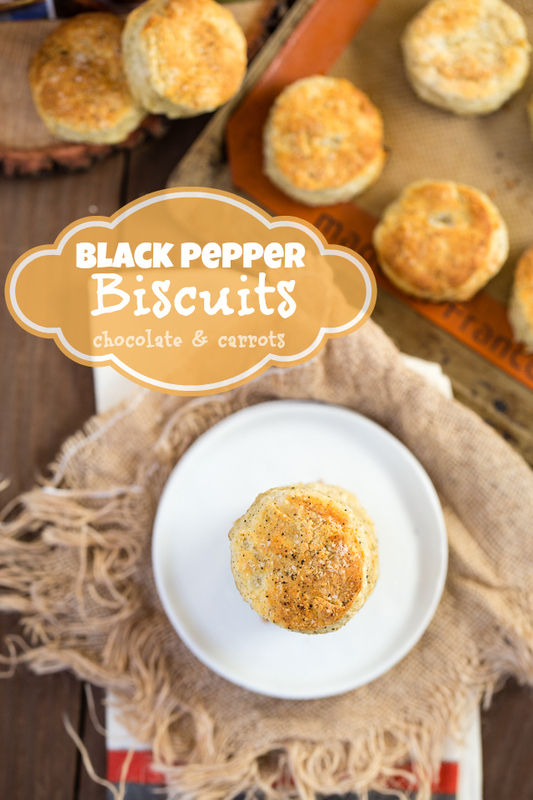 Black Pepper Biscuits would be great for breakfast with eggs and bacon or even as a side dish to a soup! You really can’t go wrong with them. Carrie’s method for making the biscuits is great, too. I really appreciated that she instructed us to use our hands to make them. You get a little messy, but it’s all worth it. In a large bowl, whisk the flour, baking powder, salt and pepper until combined. Using your hands, cut in the cubed butter and cream cheese until the mixture looks like cottage cheese with some loose flour. Make a well in the center of the flour mixture and pour in the buttermilk. Use your hands to mix into the flour until the dough is wet and messy. Sprinkle a little extra flour on top of the dough. Separate the dough from the bowl with a spatula and sprinkle a little flour in that crease to easily remove the dough from the bowl. Drop the dough on a floured surface. Flour the top of the dough and the rolling pin. Roll out the dough to 1/2 inch thickness. The less you mess with the dough, the better. Flour a 2 inch round biscuit cutter. Cut straight through the dough with the cutter, maximizing the number of biscuits you cut from the dough. Roll out the excess dough and cut more biscuits. Place the biscuits on a parchment paper covered baking sheet with the biscuit’s sides touching. Brush the tops of the biscuits with melted butter and sprinkle with the topping. Place the pan in the oven and reduce the temperature to 450°F. Bake for 16-18 minutes or until light brown on the top, rotating the pan once while baking for even brownness. Yum!! These biscuits look perfect! I love Charleston!!! It is about 2 hours away from where I live and we visit there often! Browsing (and sometimes shopping) on King St. is my favorite thing to do!! 🙂 I love eating biscuits with raspberry jam! So delicious! My favorite way is to eat them right out of the oven, slathered with butter. 😀 Second favorite way is sausage gravy and biscuits! I love biscuits and gravy or biscuits and strawberry jam, or with honey. Yum! 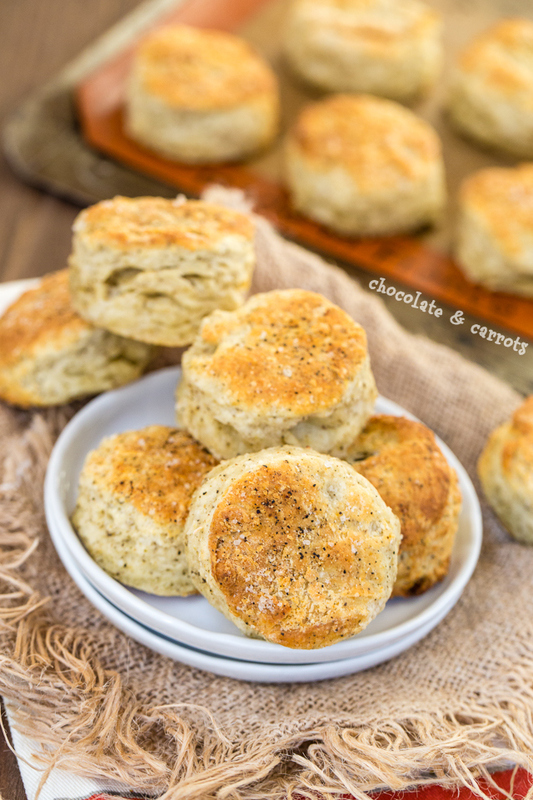 Biscuits are the perfect breakfast item, and these would be amazing to pair with a sausage gravy! My favorite way to eat biscuits is with southern sausage gravy. With apple butter! Or just plain, hot out of the oven! I love my biscuits topped with a little butter and honey! My first association w biscuits is fried chicken – love it with some crispy meat + gravy! Any time really…love salty country ham on them or fresh strawberries and lightly sweetened cream! For breakfast with jam or honey and butter. I like them for breakfast, snack, dinner, and any thing in between. I put a ton of butter on it. And I mean a ton!! This girl is not afraid of butter!!!! Wait, there is a way to make biscuits without using your hands?? These biscuits look wonderful! I love Charleston, and I love southern cooking. Thanks! Biscuits are good any time, especially with butter. 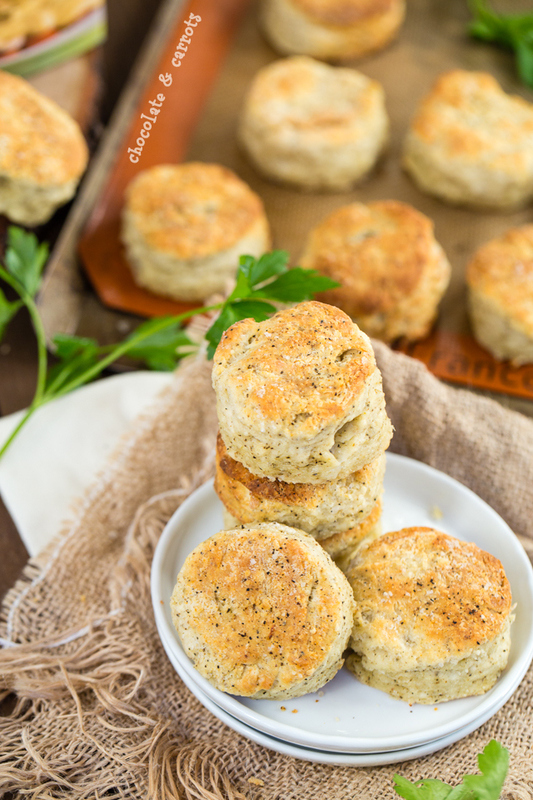 These black pepper biscuits will be a big hit with the men in my house! I like biscuits with butter and grape jelly for breakfast. I have Callie’s cookbook and I absolutely love it!!!! There is nothing better than a warm biscuit with sausage gravy! And, yes, I’ll eat that anytime of the day! Biscuits and gravy for me – yummy! Fresh out of the oven with butter! I love biscuits w/ scrambled eggs! I’m a southern girl too, from Kentucky, and I still haven’t perfected biscuits, I’m excited to try this recipe! Biscuits and jam for breakfast are wonderful! My favorite way to enjoy biscuits is topped with grape jelly, along with scrambled eggs or an omelet. 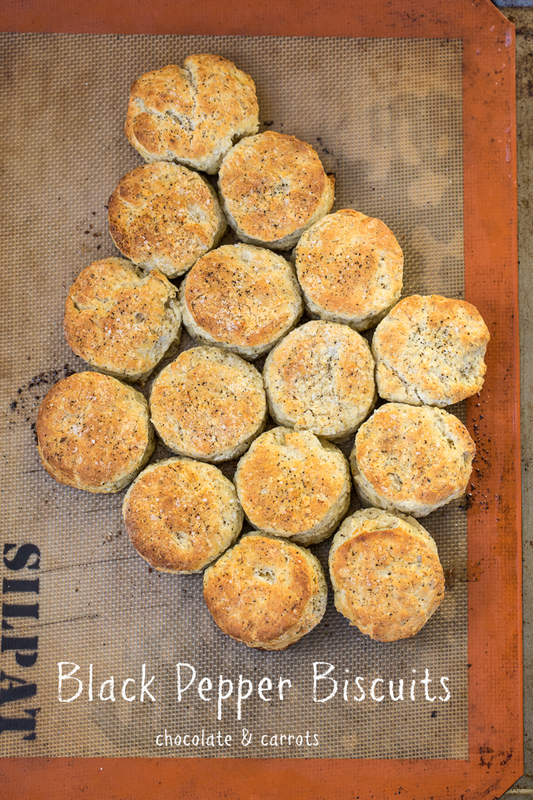 My favorite way to enjoy biscuits is plain for breakfast. Give me a hot buttered biscuit anytime! Fond memories of my Nanny’s hot out of the oven-Nothing more comforting! I love ham biscuits when I visit the south. It is my first stop when I visit VA on vacation. I am in NYC. I hae had Callie’s biscuits and pimento cheese sent to my hubby for Valentine’s day one time and they were heaven. Thanks for the chance to win! Merry Christmas! I love biscuits for any meal, with either butter or jelly!! 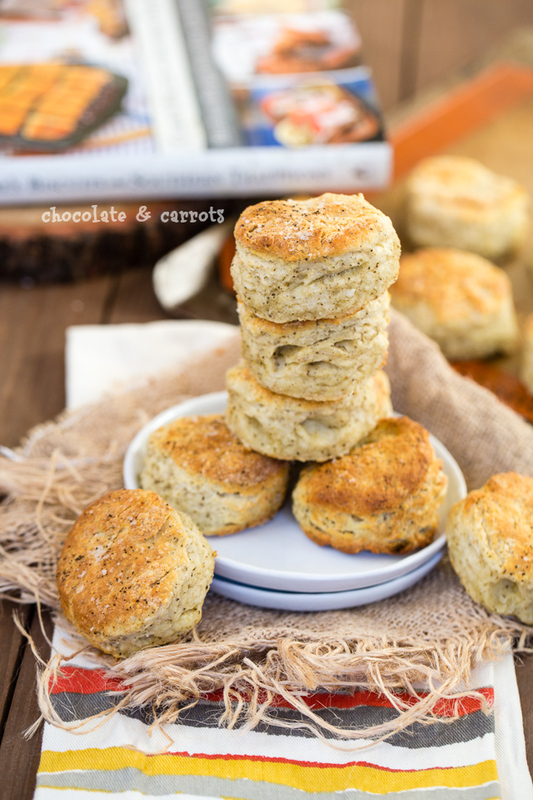 Or some country ham… Or gravy… I just love biscuits! i love biscuits split & toasted with butter & honey from my dad’s hives.